Pg. 69: Alafair Burke's "The Ex"
Featured at the Page 69 Test: The Ex: A Novel by Alafair Burke. Learn about Alafair Burke's seven top novels that show the real lives of lawyers. Featured at Writers Read: Carla Buckley, author of The Good Goodbye. There are two basic ways to be against religion. You can think religion is bad because it holds humans back from fulfilling their great potential. Or you can think religion is bad because it shows how humans are bad, petty, deluded creatures, incorrigibly prone to doing very stupid things. Asher is the second kind of anti-religion writer. The utopian side of his Polity universe is ruled by benign A.I.’s. 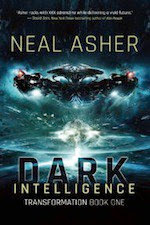 The dark side, explored by this novel, takes place in a demilitarized zone between the AI and human Polity, and a voracious, warmongering empire of giant alien insects known as the Prador. A kind of religion has sprung up among some of the human inhabitants of this zone, focused on worshipping and imitating the Prador. Adherents engage in incredibly costly and debilitating body modification surgery to look more like the beings they imitate, and flock to a world rumored to contain a buried Prador ship. The Prador themselves, meanwhile, absolutely loathe all humans, and delight in killing them. A subplot shows the benevolent AI’s trying to save some of the Prador worshippers from the murderous instincts of their gods. If you’ve always kind of thought that Jonathan Edwards’ “Sinners in the Hands of an Angry God” was a great sci fi premise, then Asher is the writer for you. 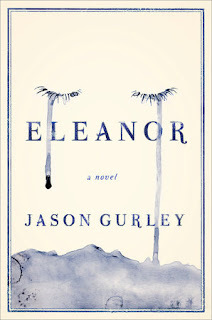 Featured at My Book, The Movie: Eleanor: A Novel by Jason Gurley. My Book, The Movie: Eleanor. Pg. 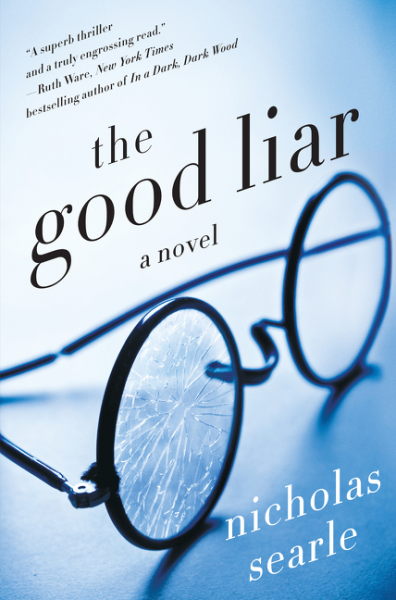 69: Nicholas Searle's "The Good Liar"
Featured at the Page 69 Test: The Good Liar: A Novel by Nicholas Searle. 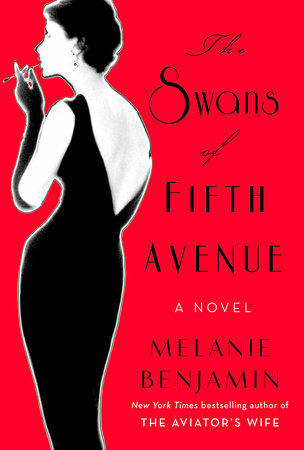 Featured at Writers Read: Melanie Benjamin, author of The Swans of Fifth Avenue. Pg. 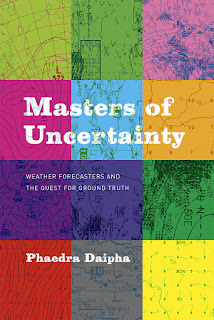 99: Phaedra Daipha's "Masters of Uncertainty"
Featured at the Page 99 Test: Masters of Uncertainty: Weather Forecasters and the Quest for Ground Truth by Phaedra Daipha. The Page 99 Test: Masters of Uncertainty. Lisa Williamson is the author of The Art of Being Normal. Pg. 69: Jennifer Longo's "Up to This Pointe"
Featured at the Page 69 Test: Up to This Pointe by Jennifer Longo. Harper is a Scott. She’s related to Robert Falcon Scott, the explorer who died racing Amundsen and Shackleton to the South Pole. Amundsen won because he had a plan, and Harper has always followed his model. 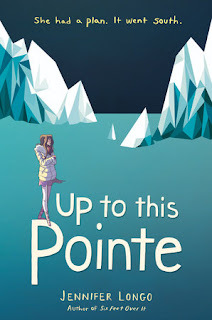 So when Harper’s life takes an unexpected turn, she finagles (read: lies) her way to the icy dark of McMurdo Station . . . in Antarctica. Extreme, but somehow fitting—apparently she has always been in the dark, dancing on ice this whole time. And no one warned her. 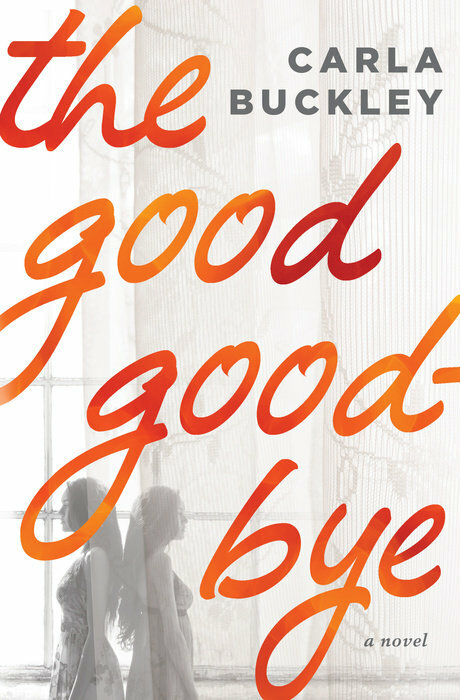 Not her family, not her best friend, not even the boy who has somehow found a way into her heart. It will take a visit from Shackleton’s ghost–the explorer who didn’t make it to the South Pole, but who got all of his men out alive–to teach Harper that success isn’t always what’s important, sometimes it’s more important to learn how to fail successfully. What is Adrian Magson reading? 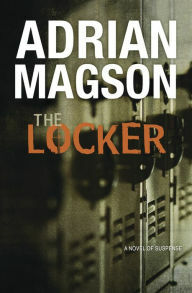 Featured at Writers Read: Adrian Magson, author of The Locker: A Novel of Suspense. 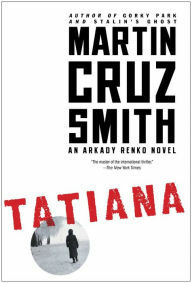 I recently caught up with one of my favourite authors – Martin Cruz Smith (Gorky Park and others and his character Arkady Renko), and read Tatiana, which I’d been meaning to get hold of for a while. This time the put-upon and world-weary Russian investigator is looking into the apparent suicide of a young reporter, Tatiana Petrovna, and the murder of a billionaire mob leader. Renko senses there must be a connection, and his persistent digging, in spite of his boss’s seeming scepticism, leads him to Kaliningrad, where another death has taken place. You’re at your usual locker at Fitness Plus. The time is 09:15. Your cell phone is dead, your home phone won’t answer and your daughter, Beth, is home with the nanny. It will take you 18 minutes to get home. If you drive fast. Her only problem is, she doesn’t know where he is. But she recalls him mentioning a number she should call if anything unusual happens. This triggers a Code Red at specialist security company Cruxys Solutions, who send investigators Ruth Gonzales and Andy Vaslik to track him down. What do you do when a child’s life depends on finding a man who doesn't seem to exist? King is a fantastic writer and in this his character travels back in time to try to prevent the assassination of John F Kennedy. The tension builds and builds – I couldn’t put it down. 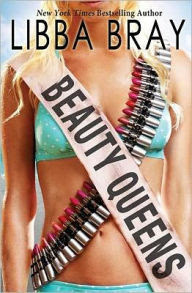 11/22/63 is one of Molly Driscoll's top six novels that explore a slightly alternate version of very familiar events. Featured at My Book, The Movie: L.A. Math: Romance, Crime, and Mathematics in the City of Angels by James D. Stein. My Book, The Movie: L.A. Math. Pg. 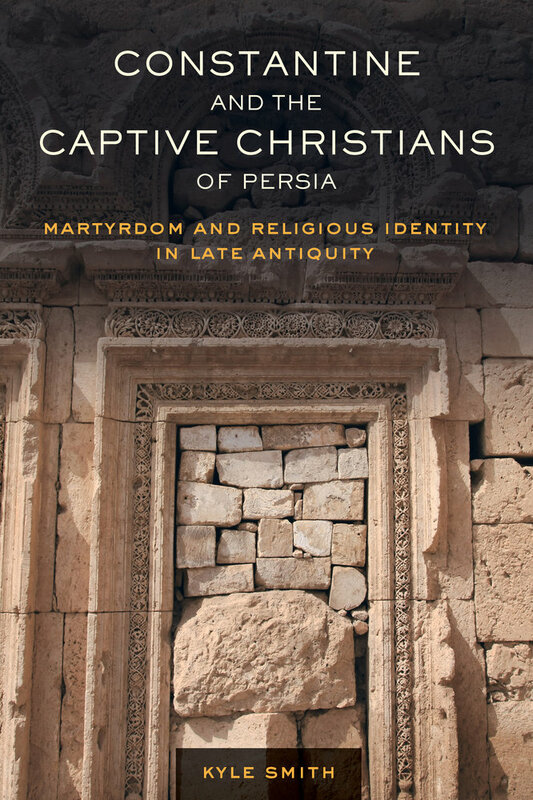 99: Kyle Smith's "Constantine and the Captive Christians of Persia"
Featured at the Page 99 Test: Constantine and the Captive Christians of Persia: Martyrdom and Religious Identity in Late Antiquity by Kyle Smith. 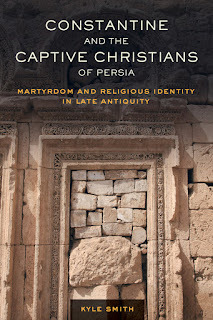 The Page 99 Test: Constantine and the Captive Christians of Persia. Pg. 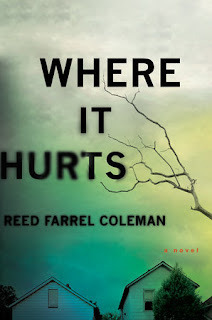 69: Reed Farrel Coleman's "Where It Hurts"
Featured at the Page 69 Test: Where It Hurts by Reed Farrel Coleman. 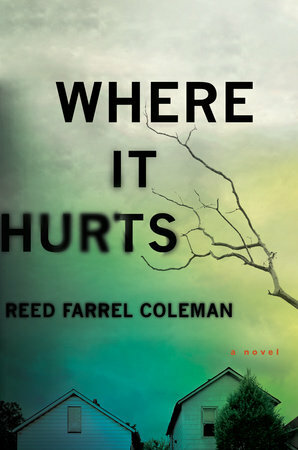 Writers Read: Reed Farrel Coleman (May 2014). The Page 69 Test: The Hollow Girl. The Page 69 Test: Where It Hurts. 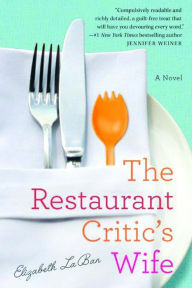 Featured at Writers Read: Elizabeth LaBan, author of The Restaurant Critic's Wife. The Page 69 Test: The Restaurant Critic's Wife. Caroline Shaw is Assistant Professor of History at Bates College. 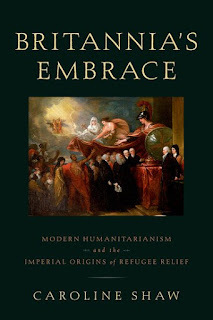 Her new book is Britannia's Embrace: Modern Humanitarianism and the Imperial Origins of Refugee Relief. In 1812 Benjamin West completed his portrait of John Eardley Wilmot. The portrait was two paintings in one: it depicted its subject, Wilmot, lawyer and former Chief Justice of Common Pleas, in the foreground; in the background was a painting within a painting, a scene of American loyalists, including Native Americans, African slaves, women, and children. The refugees were met with the judicious relief of British magistrates, a process overseen by the allegorical Britannia herself, accompanied by guardian angels and the Virgin Mary. It is this inset painting that appears on the cover of Britannia’s Embrace. By 1812, when West finished his portrait, the British prided themselves on the welcome they had provided to refugees of all sorts. For the Wilmots, refugee relief was a family vocation. John Eardley Wilmot directed governmental relief efforts in the wake of the American Revolution. His son John Wilmot assisted with loyalist relief and went on to oversee official aid for French Catholic Clergy and Laity at the height of the Revolutionary Terror of the 1790s. British concern for the persecuted trumped divisions of race and of religion. Few could have anticipated that the British would set aside deep-set confessional prejudices at this moment. Until the late eighteenth century, stridently Protestant Britain saw refugee relief as part of a confessional battle. The Huguenots, Protestants banished from France by Louis XIV, found shelter in Britain and other Protestant countries and introduced the term refugee into the English language around 1685. That the British would admit let alone celebrate the protection of French Catholics represented a fundamental shift. Refuge would no longer be about religion. Now, it centered around ideology and a shared liberal vision that transcended deep political divisions within Britain itself. At the time, Britain stood alone in her openness to foreign refugees. By the dawn of the twentieth century, humanitarians across the globe fought for the relief of refugees of all stripes. The book examines these transformations in the emergence and universalization of the refugee as a category for humanitarian action. It argues that refuge became a powerful humanitarian norm because it helped Britons define what it meant to be liberal on a global stage. The resources of empire made such humanitarianism possible, providing officials and activists the means for securing shelter for these charitable subjects, often outside the British Isles. By the middle of the nineteenth century, the welcoming hospitality depicted in Benjamin West’s 1812 painting had come to symbolize British liberal humanitarianism. While this memory remains, British preeminence in the realm of refugee relief does not. And yet, although Britons can no longer claim to offer a refuge par excellence, the moral politics of refugee relief, pioneered in the context of the long-nineteenth-century, remain palpable today. 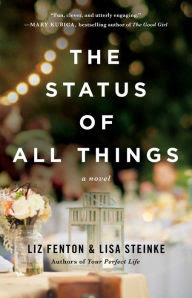 Robinson’s Pulitzer prize-winning, epistolary novel is written as the autobiography of Reverend John Ames, who is dying of a heart condition and hopes the words will be a legacy for his seven-year-old son. An exploration of faith and vocation, Ames is perhaps the most sympathetic of all our clerics, and, like all the best characters, he will settle in your mind and refuse to leave. Ames’s quiet wisdom offers a view of religion for the non-religious, but perhaps all our literary clerics could learn from him. There is magic hidden amongst the mundane, and God can truly be found in the most unlikely of places. Gilead is on The Telegraph's list of eight books every dad should read, Allegra Frazier's top five list of diary novels, Michael Arditti's ten best list of fictional clerics, Ayad Akhtar's list of three notable books on faith in the US, Michael Crummey's top ten list of literary feuds and Geraldine Brooks's five most important books list; it is a book Dalia Sofer would like to share with her children. Also see: Top ten novels about priests; Top ten wicked priests in fiction. 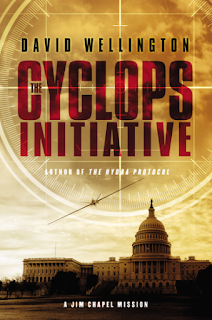 Featured at My Book, The Movie: The Cyclops Initiative: A Jim Chapel Mission by David Wellington. The Page 69 Test: Chimera. 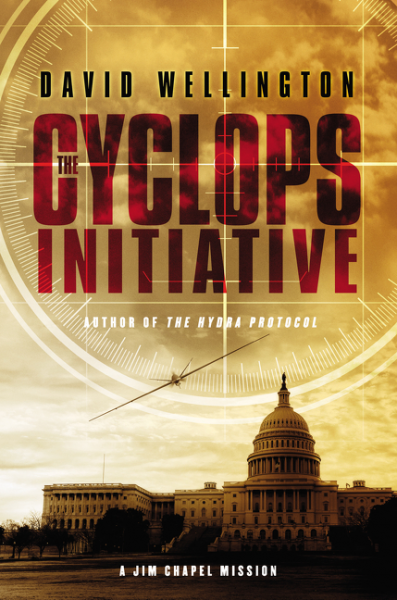 My Book, The Movie: The Cyclops Initiative. Pg. 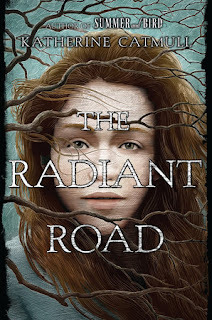 69: Katherine Catmull's "The Radiant Road"
Featured at the Page 69 Test: The Radiant Road by Katherine Catmull. 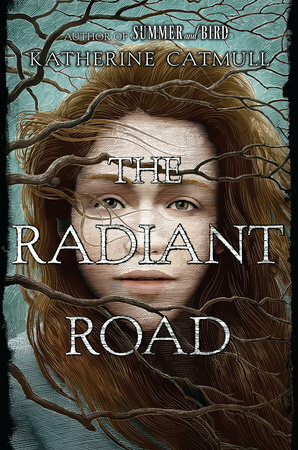 The Page 69 Test: The Radiant Road. What is James D. Stein reading? Featured at Writers Read: James D. Stein, author of L.A. Math: Romance, Crime, and Mathematics in the City of Angels. 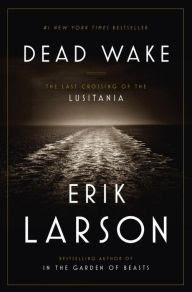 I'd love to find a mystery writer who writes like either Ellery Queen, Rex Stout, or Agatha Christie – with classic mysteries – but the authors I've read recently have way too much gratuitous violence for my taste. When I read The Girl With the Dragon Tattoo, I came to the torture scene and skipped it – how does that improve the book? Beats me. The mystery, and the characters, were so good that this wasn't necessary. Move over, Sherlock and Watson—the detective duo to be reckoned with. In the entertaining short-story collection L.A. Math, freelance investigator Freddy Carmichael and his sidekick, Pete Lennox, show how math smarts can crack even the most perplexing cases. Freddy meets colorful personalities throughout Los Angeles and encounters mysterious circumstances from embezzlement and robbery to murder. In each story, Freddy’s deductive instincts—and Pete's trusty math skills—solve the crime. Pg. 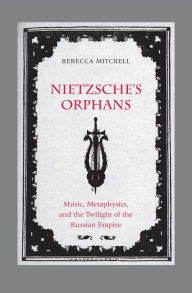 99: Rebecca Mitchell's "Nietzsche’s Orphans"
Featured at the Page 99 Test: Nietzsche's Orphans: Music, Metaphysics, and the Twilight of the Russian Empire by Rebecca Mitchell. The Page 99 Test: Nietzsche's Orphans. 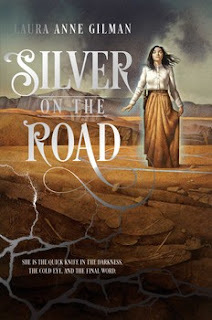 If you think Sherlock Holmes is moody and a bit volatile, just wait until you meet his great-great granddaughter. The Holmes and the Watsons are no longer on the closest terms, so Jamie Watson isn’t surprised he hasn’t met the youngest relative of his great-great grandfather’s famous partner. 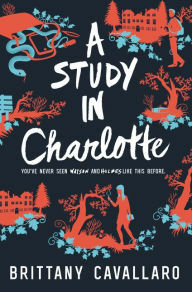 And when the two end up at the same Connecticut boarding school, Charlotte hardly seems interested in befriending Jamie. She also appears to have inherited some of her famous family’s characteristics: the cold logic, the bad temper, even the drug habit. 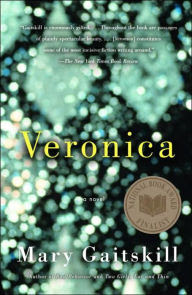 After a boy with a violent history with Charlotte is murdered, however, the two find themselves framed for the crime. Looks like a new generation of Watson and Holmes will have to team up to solve the case. 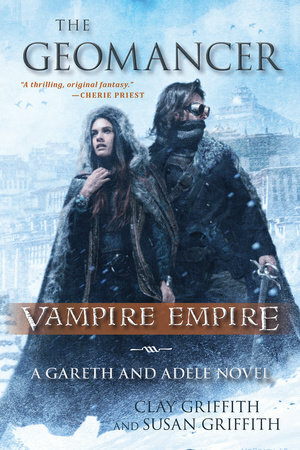 Featured at My Book, The Movie: the Vampire Empire series by Clay Griffith and Susan Griffith. My Book, The Movie: the Vampire Empire series. Pg. 69: Melanie Benjamin's "The Swans of Fifth Avenue"
Featured at the Page 69 Test: The Swans of Fifth Avenue by Melanie Benjamin. 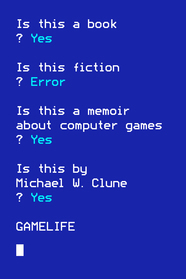 What is Bruce E. Baker reading? 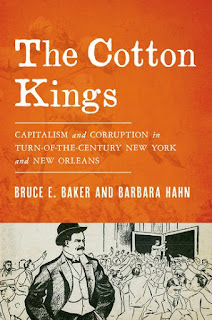 Featured at Writers Read: Bruce E. Baker, co-author, with Barbara Hahn, of The Cotton Kings: Capitalism and Corruption in Turn-of-the-Century New York and New Orleans. 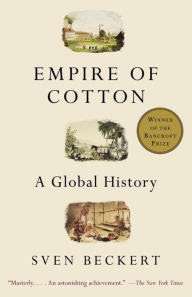 I guess it shouldn’t be much of a surprise that one of the things I am reading is about cotton: Sven Beckert’s prize-winning book Empire of Cotton. Barbara Hahn and I knew this book was on the way while we were writing The Cotton Kings, and we had read Beckert’s earlier articles, but as often happens, especially in academic publishing, his book came out after our manuscript had gone in to the publisher. My Book, The Movie: The Cotton Kings. Writers Read: Bruce E. Baker. I’ve often taken this with me when I’ve travelled alone because it’s so re-readable and packed with wit. In a dismal airport lounge, it casts its spell immediately. You’re always seeing some new facet of character and Elizabeth Bennet has an appealing effervescence. Pride and Prejudice also appears on Jenny Kawecki's list of eight fictional characters who would make the best travel companions, Peter James's top ten list of works of fiction set in or around Brighton, Ellen McCarthy's list of six favorite books about weddings and marriage, the Telegraph's list of the ten greatest put-downs in literature, Rebecca Jane Stokes' list of ten fictional families you might enjoy more than the one you'll actually spend the holidays with, Melissa Albert's lists of five fictional characters who deserved better, [fifteen of the] romantic leads (and wannabes) of Austen’s brilliant books and recommended reading for eight villains, Molly Schoemann-McCann's list of ten fictional men who have ruined real live romance, Emma Donoghue's list of five favorite unconventional fictional families, Amelia Schonbek's list of five approachable must-read classics, Jane Stokes's top ten list of the hottest men in required reading, Gwyneth Rees's top ten list of books about siblings, the Observer's list of the ten best fictional mothers, Paula Byrne's list of the ten best Jane Austen characters, Robert McCrum's list of the top ten opening lines of novels in the English language, a top ten list of literary lessons in love, Simon Mason's top ten list of fictional families, Cathy Cassidy's top ten list of stories about sisters, Paul Murray's top ten list of wicked clerics, John Mullan's lists of ten of the best housekeepers in fiction, ten great novels with terrible original titles, and ten of the best visits to Brighton in literature, Luke Leitch's top ten list of the most successful literary sequels ever, and is one of the top ten works of literature according to Norman Mailer. Richard Price has never read it, but it is the book Mary Gordon cares most about sharing with her children. The Page 99 Test: Pride and Prejudice. Pg. 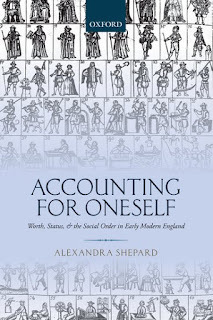 99: Alexandra Shepard's "Accounting for Oneself"
Featured at the Page 99 Test: Accounting for Oneself: Worth, Status, and the Social Order in Early Modern England by Alexandra Shepard. Worth, Status, and the Social Order in Early Modern England is a major new study of the social order in early modern England, as viewed and articulated from the bottom up. 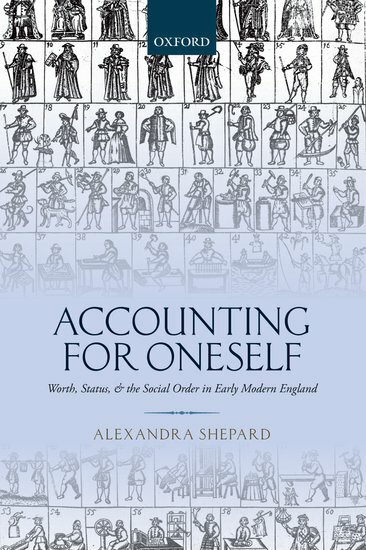 Engaging with how people from across the social spectrum placed themselves within the social order, it pieces together the language of self-description deployed by over 13,500 witnesses in English courts when answering questions designed to assess their creditworthiness. Spanning the period between 1550 and 1728, and with a broad geographical coverage, this study explores how men and women accounted for their 'worth' and described what they did for a living at differing points in the life-cycle. A corrective to top-down, male-centric accounts of the social order penned by elite observers, the perspective from below testifies to an intricate hierarchy based on sophisticated forms of social reckoning that were articulated throughout the social scale. A culture of appraisal was central to the competitive processes whereby people judged their own and others' social positions. For the majority it was not land that was the yardstick of status but moveable property-the goods and chattels in people's possession ranging from livestock to linens, tools to trading goods, tables to tubs, clothes to cushions. Such items were repositories of wealth and the security for the credit on which the bulk of early modern exchange depended. Worth, Status, and the Social Order in Early Modern England also sheds new light on women's relationship to property, on gendered divisions of labour, and on early modern understandings of work which were linked as much to having as to getting a living. The view from below was not unchanging, but bears witness to the profound impact of widening social inequality that opened up a chasm between the middle ranks and the labouring poor between the mid-sixteenth and mid-seventeenth centuries. As a result, not only was the social hierarchy distorted beyond recognition, from the later-seventeenth century there was also a gradual yet fundamental reworking of the criteria informing the calculus of esteem. The Page 99 Test: Accounting for Oneself. 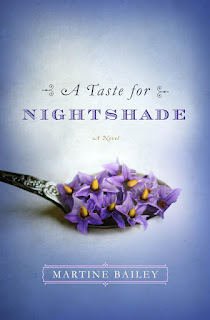 Featured at My Book, The Movie: A Taste for Nightshade by Martine Bailey. 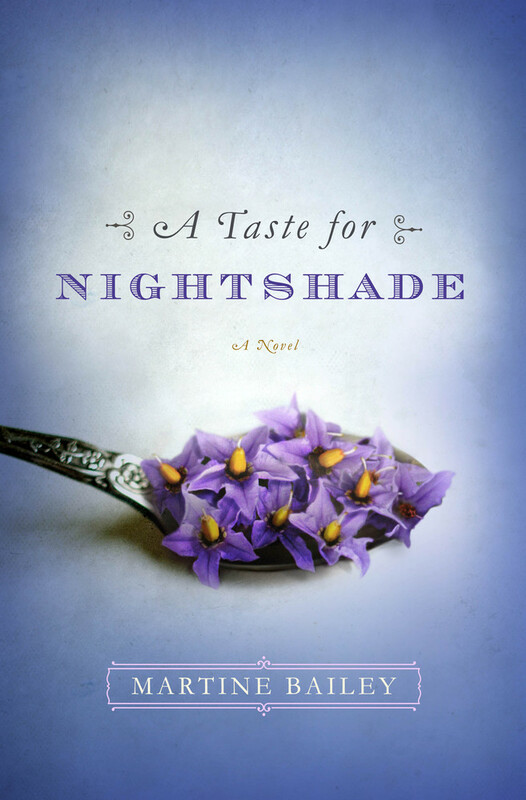 My Book, The Movie: A Taste for Nightshade. Pg. 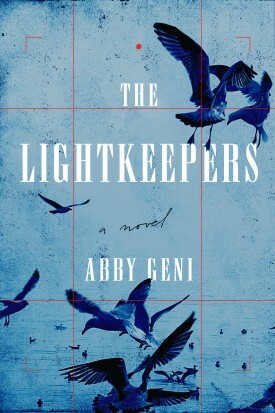 69: Abby Geni's "The Lightkeepers"
Featured at the Page 69 Test: The Lightkeepers: A Novel by Abby Geni. The Lightkeepers upends the traditional structure of a mystery novel — an isolated environment, a limited group of characters who might not be trustworthy, a death that may or may not have been accidental, a balance of discovery and action — while also exploring wider themes of the natural world, the power of loss, and the nature of recovery. 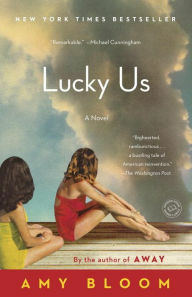 It is a luminous debut novel from a talented and provocative new writer. The Page 69 Test: The Lightkeepers. What is Robin Epstein reading? 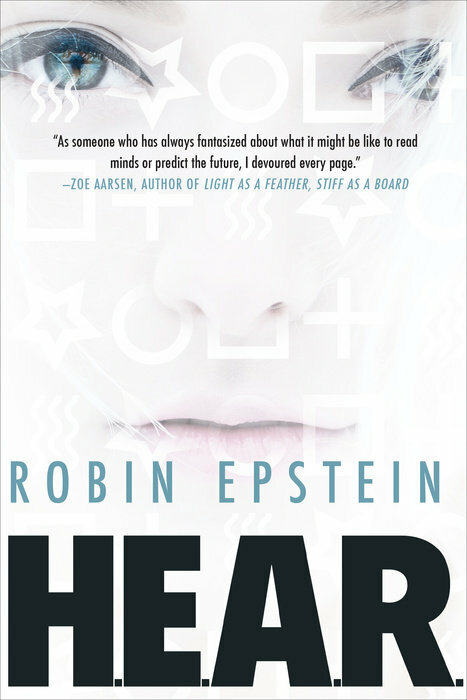 Featured at Writers Read: Robin Epstein, author of HEAR. As Kass gets to know the four other HEAR students, she realizes that she overlooked the “Anomalies” part of their acronym. They’ve all been recruited to help Brian run experiments that gauge Extrasensory Perception—including, to her astonishment, Kass herself. But Kass would know if she were psychic; right? My Book, The Movie: HEAR. Elizabeth McKenzie's new novel is The Portable Veblen. As Professor Pnin bumbles about Waindell College, he is often shadowed by a squirrel, which, scholars agree, seems to serve as either psychic doppelganger or phantom of Pnin’s first love, murdered at Buchenwald, Mira Belochkin (whose name is close to the Russian for squirrel). Pnin is among W.B. Gooderham's ten favorite examples of book-giving in fiction and Matthew Kaminski's five best novels about immigrants in America, and Nabokov is on Ben Frederick's list of ten influential authors who came to the US as immigrants. Featured at Coffee with a Canine: Lawrence M. Schoen & Gej. 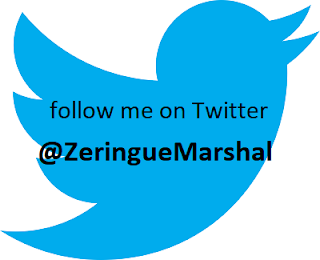 Visit Lawrence M. Schoen's website and Twitter perch. Writers Read: Lawrence M. Schoen. 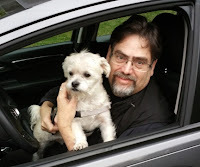 Coffee with a Canine: Lawrence M. Schoen & Gej. Pg. 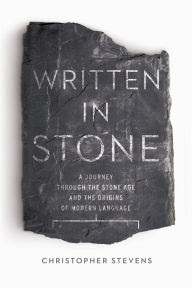 99: Christopher Stevens's "Written In Stone"
Featured at the Page 99 Test: Written in Stone: A Journey Through the Stone Age and the Origins of Modern Language by Christopher Stevens. The Page 99 Test: Written in Stone. Pg. 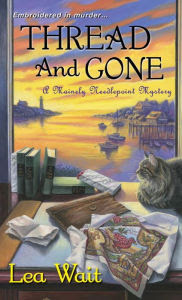 69: Lea Wait's "Thread and Gone"
Featured at the Page 69 Test: Thread and Gone (Mainely Needlepoint Mystery Series #3) by Lea Wait. The Page 69 Test: Thread and Gone. What is Lawrence M. Schoen reading? 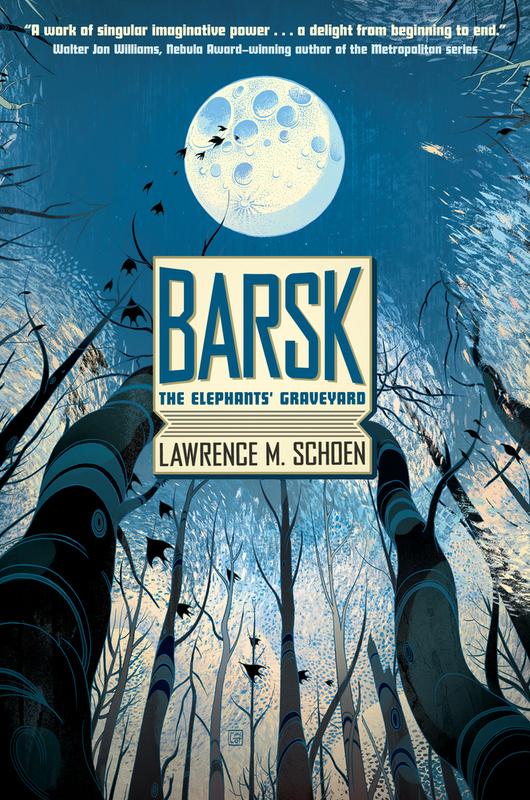 Featured at Writers Read: Lawrence M. Schoen, author of Barsk: The Elephants' Graveyard. For the last several years, I’ve set myself a challenge over on my Goodreads page to read 50 books. I tend to focus on my favorite authors, writer friends, and highly recommended titles by readers whose tastes have been shown to parallel my own. But come November that sort of free will takes a backseat and I focus on reading for the year’s award nominations (specifically the Nebula first, and the Hugo after). It’s an incredibly strong year and I think we’re going to see some fierce races. 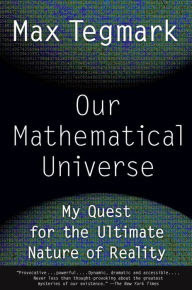 So what follows are some of the things that I’ve read in the last couple of weeks that really amazed and delighted me. Pg. 69: Leza Lowitz's "Up from the Sea"
What is Clay Griffith reading? Pg. 99: Lori A. Flores's "Grounds for Dreaming"
Pg. 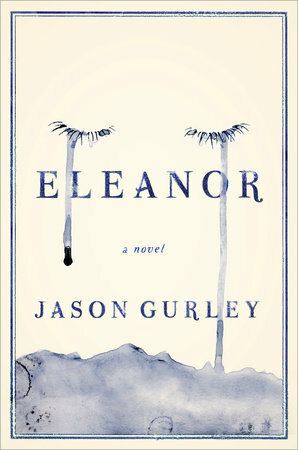 69: Jason Gurley's "Eleanor"
Pg. 69: Romina Russell's "Wandering Star"
What is Susan Griffith reading? Pg. 99: Megan Pugh's "America Dancing"
Pg. 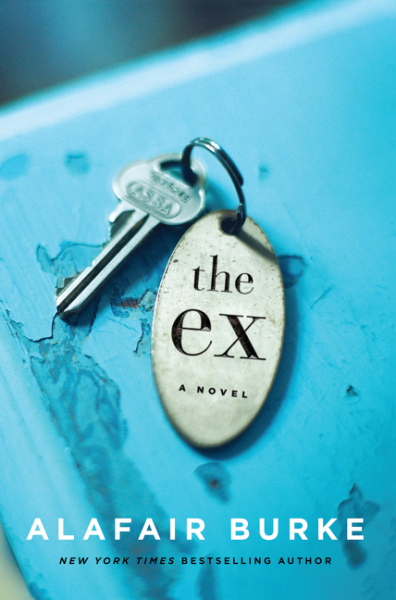 69: Adrian Magson's "The Locker"
What is Rachael Ball reading? What is Michael Cobley reading? Pg. 69: James D. Stein's "L.A. Math"
Pg. 99: Serhii Plokhy's "The Gates of Europe"
What is Loren J. Samons, II reading? Pg. 69: Rachael Ball's "The Inflatable Woman"
What is Nina Milton reading? Pg. 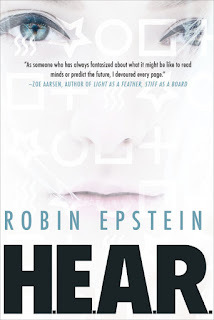 69: Robin Epstein's "HEAR"
What is Alison Collis Greene reading? Pg. 99: Rick Shenkman's "Political Animals"
What is Lisa Goldstein reading? What is Nancy S. Steinhardt reading? Pg. 69: Michael Cobley's "Ancestral Machines"